AGILITYIO, a UX design and software development firm with operations in New York and Danang, Vietnam has announced the opening of a new office in Singapore to meet the demands of their growing business in South-East Asia. Chok Leang Ooi (pic), chief executive officer of Agility, based in New York noted nearly two billion dollars in venture capital investments across South-East Asia over the next two years. “It's a no brainer for us to shore up our presence in the market. With our track record helping Silicon Valley and New York startups succeed, we believe we can help transform the next big idea into reality in the vibrant Southeast Asia startup ecosystem," he added. Both Ooi and his partner, co-founder and chief operating officer, Trung Ngo, grew up in Malaysia and Vietnam respectively, and have spent an extended period in the technology industry in the United States. 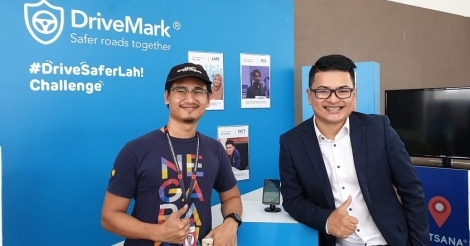 "Call it our personal interest but we have been dreaming of leveraging our experience and background in North America and Asia to facilitate strategic partnerships and market entry for startups between the two markets," said Ooi. "And we believe it's now or never." Charmaine Ong (pic), an advertising and marketing director with experience developing business and leading technology accounts across Asia, has been appointed as the managing director of the Singapore office. Her role will involve running the operations in Singapore as well as business development for the region. The company has created a new business framework -- Startups without Borders, which leverages agile and distributed teams methodologies -- that has seen the company grow with more than 50 clients in the past three years. In recent months, AgilityIO's portfolio has expanded with clients based in Singapore and Malaysia such as The Luxe Nomad, Picky, Popcorn, Travelshopa, and MindValley, with several new accounts in the pipeline.